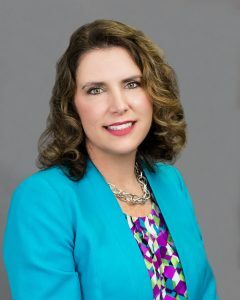 Throughout her career, Shannon has been recognized as a nominee for the Credit Union National Association’s (CUNA’s) Marketer of the Year and has received many awards through the Credit Union Executives Society’s Golden Mirror Award program. Shannon has also been privileged to speak at various credit union seminars and conferences on topics ranging from relationship pricing creation/implementation, effective management skills, understanding operational efficiencies/analysis and best practices as a CDFI. She has also earned the Credit Union Development Educator (CUDE) designation in September 2015 from the National Credit Union Foundation. She has a passion for encouraging the advancement of women in leadership and has joined the Florida Sister Society of the Global Women’s Leadership Network as a co-leader. Lastly, she is a 2017 graduate of the University of Georgia’s Southeastern CUNA Management School, a three year management program and certification for credit union professionals. In her spare time, she enjoys spending time with family and friends, shopping, cooking, and cheering on her kids at their soccer games.